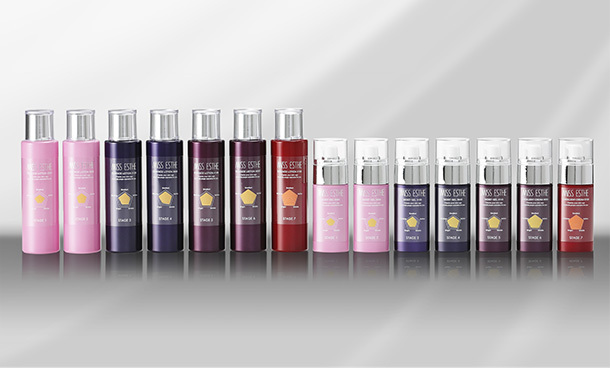 MISS ESTHE Skin Navigation System checks skin age and provides the best treatment and home skincare cosmetics. Customers can enjoy skincare while feeling the change in their skin. We take care of customers’ wishes. 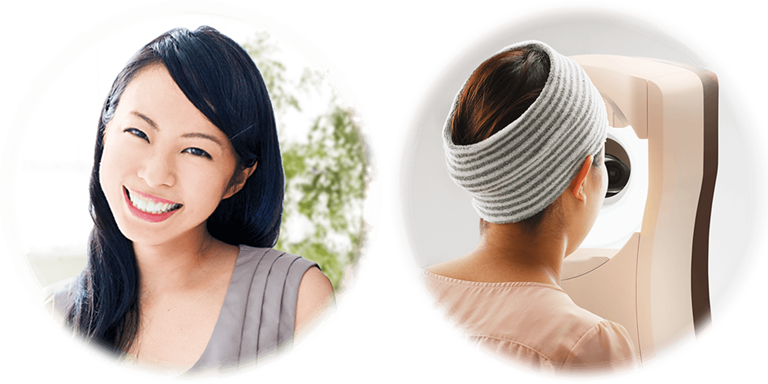 Customers can feel the effects of the MISS ESTHE Skin Navigation System while appreciating the change in the skin as it approaches its target skin age. MISS ESTHE Skin Navigation System The MISS ESTHE Skin Navigation system is a new counseling system in which we can introduce the best facial treatment course and home skincare cosmetics for customers based on their skin age by identifying specific problems and analyzing skin age through our original skin analysis. 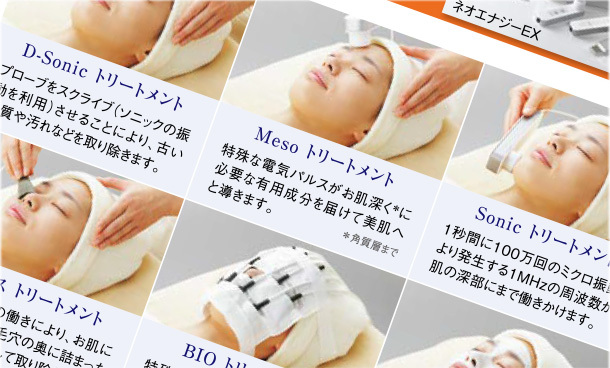 The MISS ESTHE skin analysis machine will calculate the customers’ skin age. 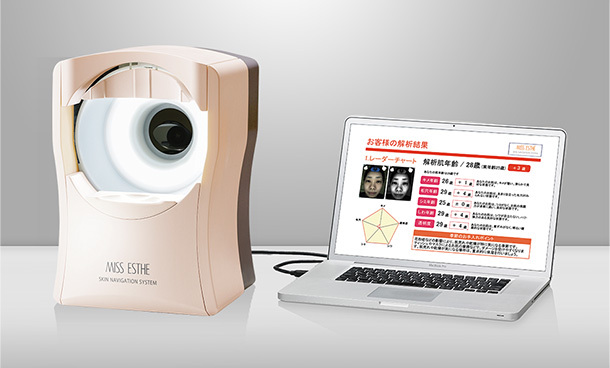 After taking a photo of a customer’s face, MISS ESTHE’s center server will calculate skin age through analyzing skin texture age, pore age, spot age, wrinkle age, and transparency. Then, we will tell her about her current skin conditions. We will provide the best facial treatment course for a customer that is based on the skin conditions detected through the skin analysis. We will introduce the best cosmetics for customers based on their skin age, skin troubles, and their comprehensively analyzed skin age.